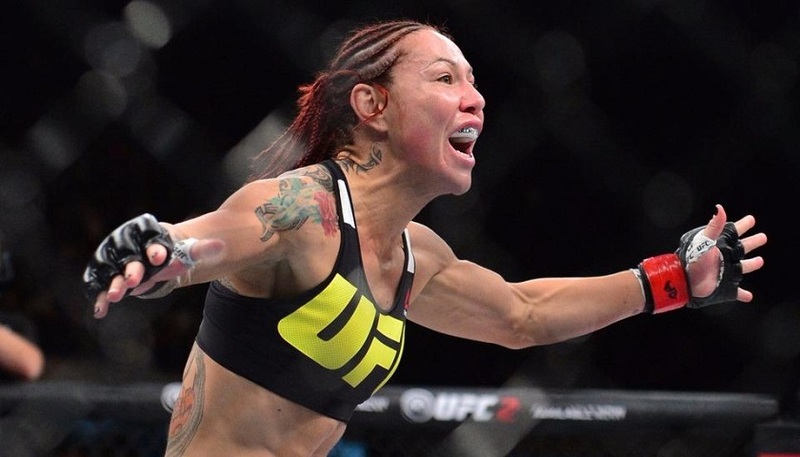 UFC women’s featherweight champion Cristiane Justino, more commonly known as Cris Cyborg, has been issued a boxing license by the California State Athletic Commission. According to a report from Marc Raimondi of MMA Fighting, Cyborg “does indeed intend to box in the 154-pound, junior middleweight division of women’s boxing. She was also granted a federal boxing ID by the commission.” MMA Fighting’s Ariel Helwani broke the news earlier in the week. Cyborg defeated Tonya Evinger at UFC 214 in July to claim the vacant 145-pound champion. The belt was stripped from the previous champion Germaine de Randamie earlier in the year after she refused to defend against Cyborg. 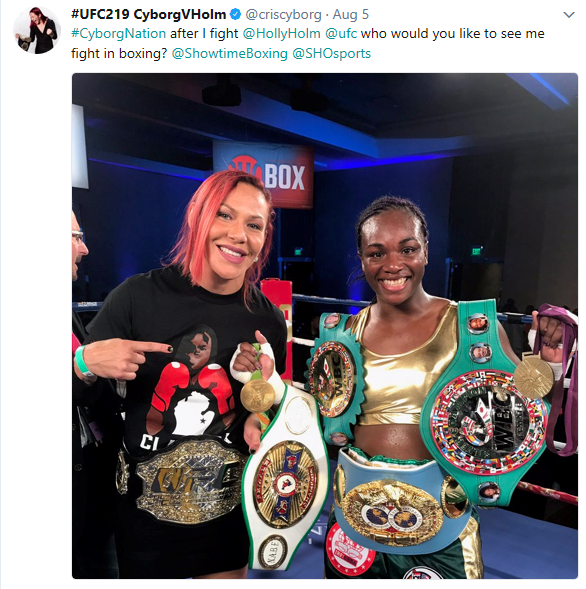 Cyborg has been training with two-time boxing Olympic gold medalist Claressa Shields. Justino walked out with Shields last month for Shields’ fight against Nikki Adler in Michigan. Spending time inside the ring with Shields has likely led to Justino’s decision to pursue a boxing license. A crossover to boxing could be a test for Cyborg, who has dominated mixed martial arts for more than a decade. Her last loss in the sport of MMA dates back to 2005, and she has TKO’d or knocked out each opponent she has faced since 2008. Cris Cyborg boxing in 2018? With UFC lightweight champion Conor McGregor testing the boxing waters recently, only to find the sport to have been very lucrative, Justino might too benefit from the experience. 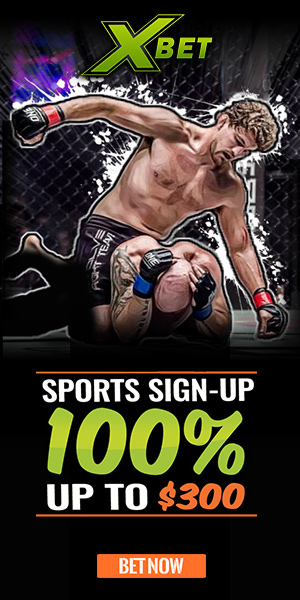 Although issued the license, there are currently no boxing fights on the table for the UFC champion. Also, there are currently no contracts in place for Cyborg to defend her UFC title. However it has been speculated that her first opponent will be former featherweight title contender and bantamweight title holder, Holly Holm. 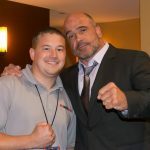 Justino’s UFC contract is up in October and according to Helwani’s interview with the champion, no new contract has yet to be signed. 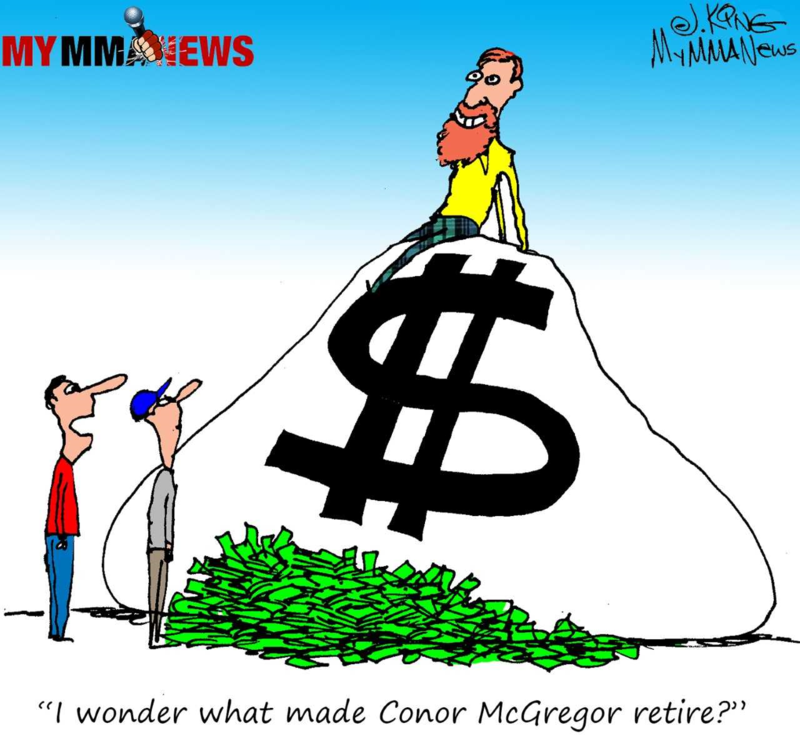 Since she holds a title however, the UFC has an exclusive one-year window for negotiations.